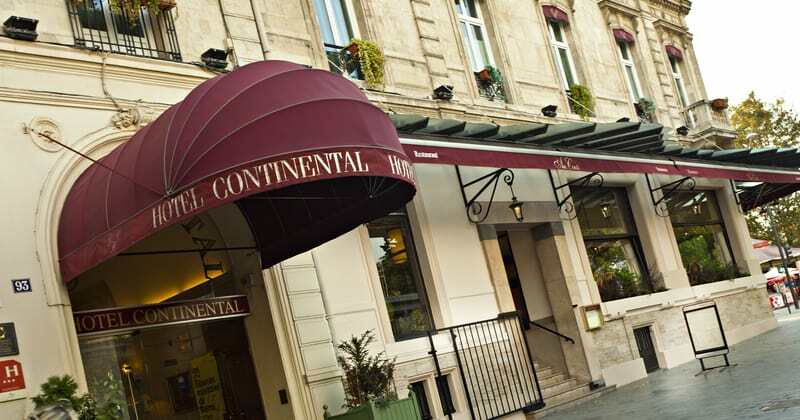 The charming 3* Grand Hotel Continental Reims consists of four connecting buildings. 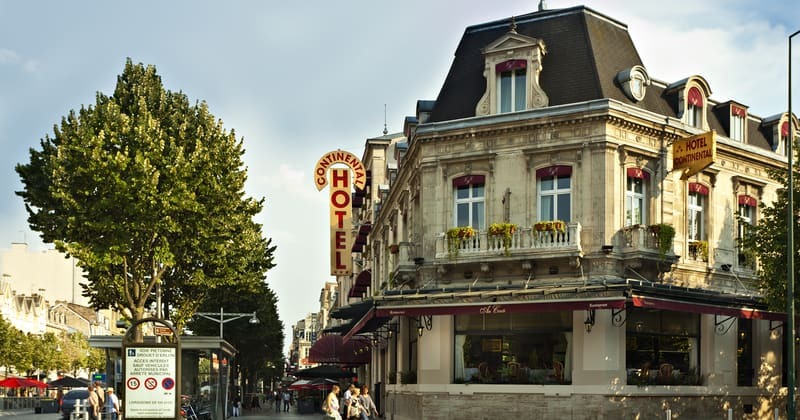 Parts of the older buildings date as far back as 1862 – the Grand Hotel Continental was the only hotel in Reims to survive the First World War and here, you will find traditionally-styled rooms and high ceilings. The new building was constructed in 2009 and offers more modern, contemporary rooms. 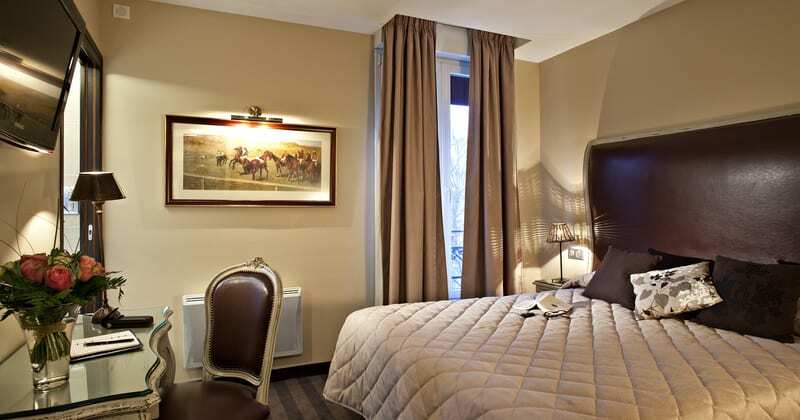 The Grand Hotel Continental is located on the city centre’s main square, the Place Drouet D’Erlon. Here, you will find a large variety of bars, shops, cafés and restaurants. You will also be within walking distance of the city’s prestigious Champagne Houses. For those with their own vehicles, an underground public car park is situated opposite the hotel and costs around 12 Euros per night. Upon entering the hotel, a warm and welcoming atmosphere awaits you. The hotel owners Philippe and Annick are excellent hosts and nothing is too much trouble for them. The spacious lounge area is a great place to relax and watch the bustling main square and guests can also enjoy an aperitif here. The recently opened Au Conti restaurant serves excellent gourmet cuisine and the portions are very generous. WIFI is free of charge and available throughout the hotel. Grape Escapes guests are accommodated in Superior rooms usually in the older part of the building, which in our experience are more charming and atmospheric. Every room is decorated individually; however each Superior room is equipped with en-suite facilities, a mini-bar, sound-proof walls, a flat-screen television and air-conditioning.